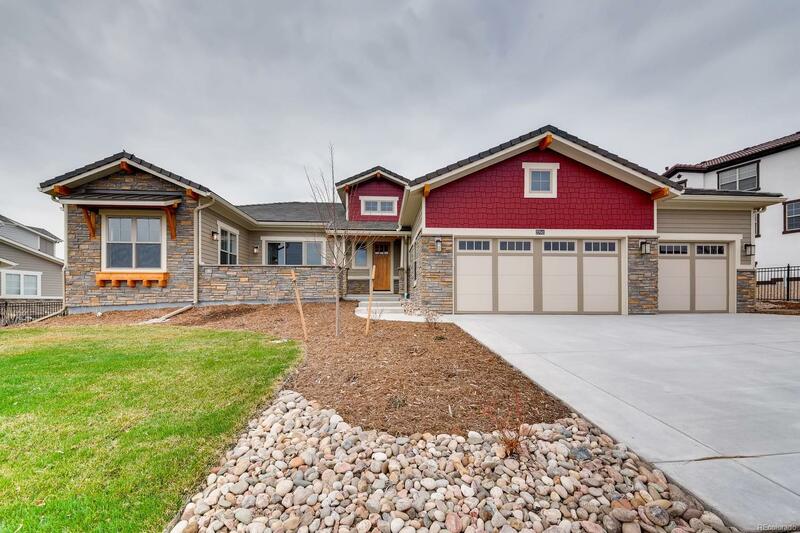 Custom ranch home in Blackstone! Every detail screams quality throughout in a great open floor plan with soaring ceilings. Enjoy quiet evenings on your covered deck or front patio, walk to the Blackstone clubhouse for golf or dinner, entertain and relax in a home built with amazing attention to detail. Great room style with a gourmet kitchen, including pantry and beautiful lighting. Huge garage (1,012 sq ft) with enough room for your cars and a golf cart. Acacia floors, soft close doors and drawers, 8 ft solid core doors, custom mouldings, beautiful tile work, slab granite, exquisite master suite, large office, finished basement with 9 ft ceilings and wet bar, soaring ceilings and so many custom features to be found. Double slider for great indoor/outdoor living. This builder does it right with attention to detail so all you have to do is move in and enjoy!